There is always more than one way. But which is the right way? As part of being a business, you must regularly produce records to prove you are complying with federal and state law. If the process of doing so isn't streamlined, it's a drain on productivity and increases business risk. If you think back to the last time you were face with a compliance issue, was it simple to find and pull the correct records from your databases, or did you find yourself and your staff in a mad scramble to find information and knowledge that is hidden away in your systems? In some instances, losing such vital information could put your company in the line of fire for fines and even legal proceedings. Whatever happened last time, it’s highly likely that the process for proving compliance was not as smooth as it could have been. On top of the stress of collecting all this data, you and your staff probably felt the impact in terms of reduced productivity in other areas of the business. So, what can be done? As a business leader, it is your responsibility to make sure everyone in charge of compliance has the resources, the structure and the governance to make this job as simple as possible. This starts in the way you collect content and information, how it is named and classified, where it is stored how it is accessed and by whom and continues right up to the point when these records are used, reused, re-purposed and archived. That means treating your information assets in the same way you would your finances and human resources – with care and consideration and a detailed understanding of their life-cycle. That’s where Experience Matters can help. We help organisations improve their information, document and knowledge management in order to facilitate compliance practices. 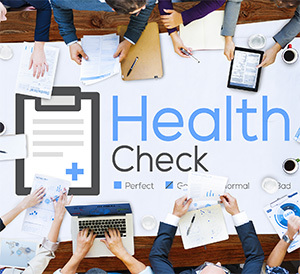 This often starts with a Health Check of the way your information management practices and governance currently at work. By identifying the information needed to meet compliance requirements we can then help you put in place tools and practices that work for you and your staff to ensure you have the right information to ensure you do not run the risk of non-compliance. As specialists in record and document management, we have helped organisations make compliance a less time-consuming task, reduce the risk of non-compliance and find new levels of productivity. If compliance is an issue affecting your business, and if you’d like to improve information asset management across the organisation, our team is on-hand to help. With a range of advice and assistance, we can work towards an affordable method of boosting your compliance, both in the short term and to prepare for the future. Contact us to find out how Experience Matters can help you develop a new pathway and achieve best practice.